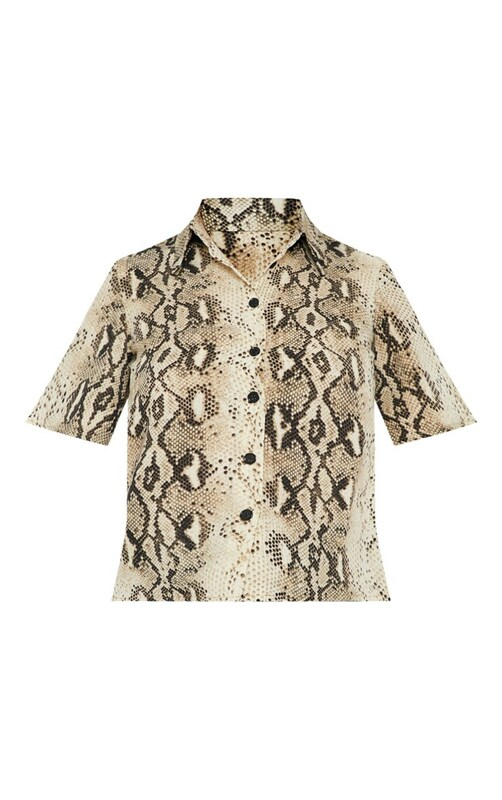 We're absolutely loving animal prints right now and this shirt is a wardrobe essential. 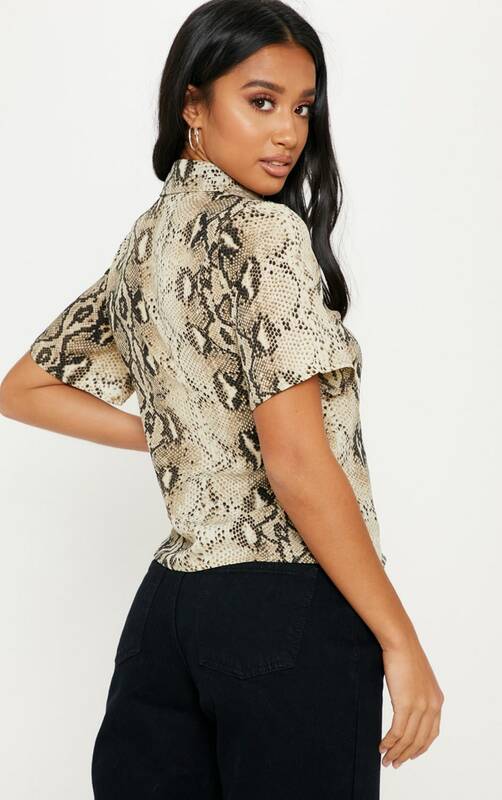 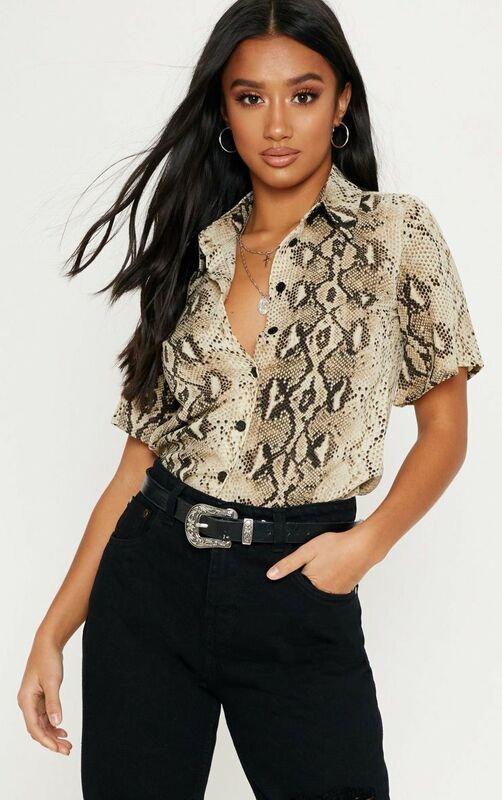 Featuring a taupe snake print fabric with a button up front, cropped sleeves and loose fit. 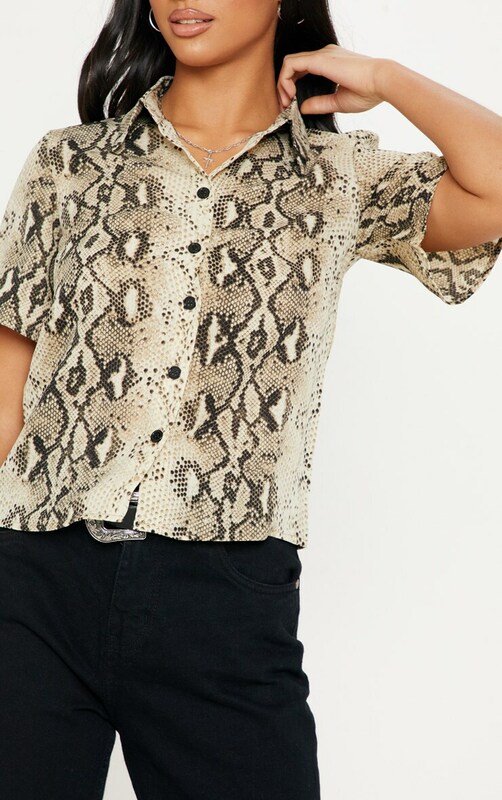 Style tucked into slim fit jeans then add a buckle belt and ankle boots for an on trend look we're loving.